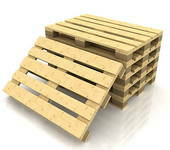 Pallets are constructed with new wood as specified by our customer to meet their pallet needs. Trinity Pallets has the capability of building many pallet designs. Custom pallets are specifically designed pallets for a customer's needs. We provide effective evaluation and consulting to assure you receive the quality you deserve. to a new pallet, recycled being significantly lower in cost. to create a strong durable pallet in various grades and sizes. All pallets are built to the highest level of quality. We manufacture crates and boxes to your specfications and needs. our strong trailer fleet to meet customer needs. 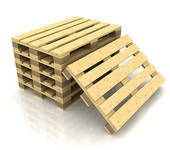 Some customers have turn-key operations and have a constant flow of pallets. Trinity Pallets can drop trailers, which are delivered, used, and rotated at your convenience. including same-day and next-day pallet delivery. results in providing timely delivery every time.